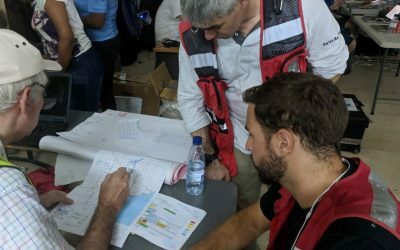 It was one of the most devastating disasters in more than a century, but Kerala is slowing rebuilding itself thanks to the help to Rotary clubs from around the world – including Great Britain and Ireland. Sunil K Zachariah, a past Rotary governor for District 3201, explains what work is going on to rebuild Kerala. Quiet flows the River Periyar today. It looks like a baby sleeping peacefully. The river is now hardly 300 metres wide. This same river transformed last month into a ferocious monster, seven kilometres wide which destroyed everything it came across. The extraordinary southwest monsoon unleashed floods in 44 rivers, throwing Kerala into a deluge unseen in 140 years. Kerala floods effected 5.5 million, according to official data. Some 483 people lost their lives and 10,000 km of roads and 510 bridges were destroyed. In addition, 500,000 poultry died, 60,000 hectares of farmland was washed away, and 12,452 hectares of fish farms are now in ruins. The state finance department estimates that it will take 300 rupee billion (£3.15 billion) to rebuild Kerala. Cleaning of silt and debris in some homes may take weeks. 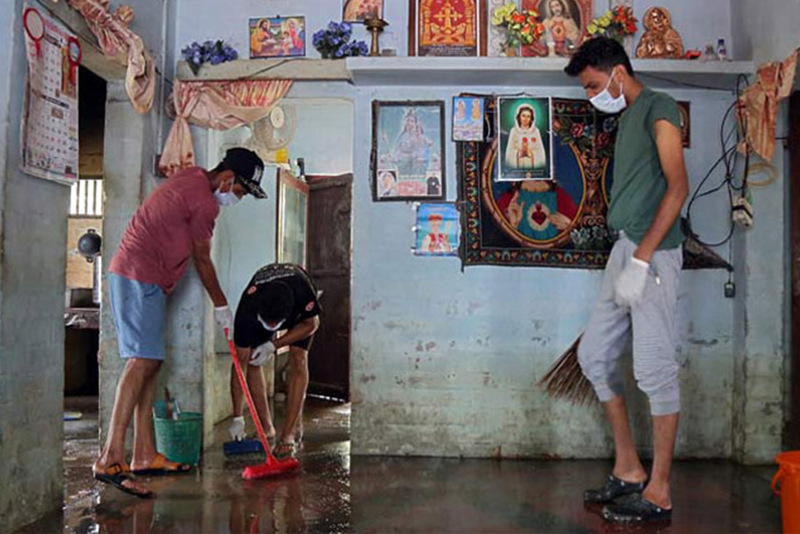 Rotary clubs in Kerala mobilised and distributed tons of cleaning materials and disinfectants, in continuation with their relief and rescue operation. Food, clothes, kitchen utilities, furniture are all being distributed. Drinking water was a big challenge. Rotary distributed truck-loads of bottles and tankers. Rotary Cochin Knights and some others did commendable work with mobile plants. Some 1.5 million people were in relief camps. As of last Thursday, all but 16 people from five families have left the camps. That does not mean that all could go back home. There are simply no homes for thousands. 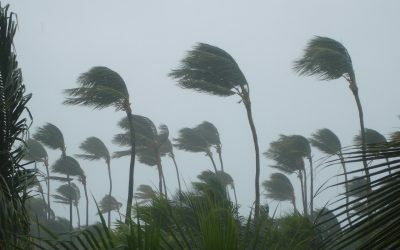 As many as 10,319 houses were completely wiped out; 99,282 houses severely damaged. Rotary India leadership has initiated a major project to build 3,000 low-cost houses at a cost of 1000 million rupee (£10.5 million). Past Rotary International President Kalyan Banerjee and current RI Director C Bhaskar are leading this initiative which will be completed in 24 months. All Rotary districts in India are involved in this major project. Some Rotary clubs have organising projects of their own. Project Hope is a joint initiative by Rotary clubs in Great Britain and Ireland and Kerala. 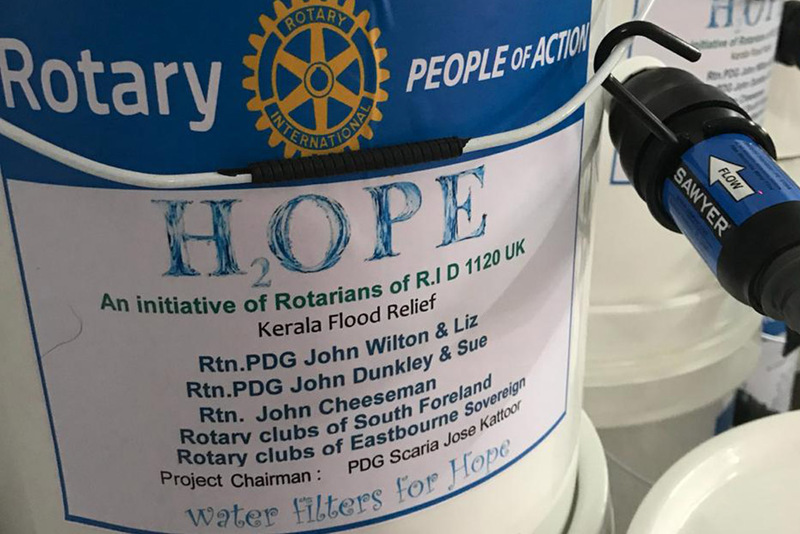 District 1120, which covers Rotary clubs in south-east London and across Kent and Sussex, as well as Gibraltar, has teamed up with District 3211 in Kerala to gift water filters to schools in the region. Aquabox is a project of Rotary District 1220 covering Nottinghamshire and Derbyshire and working with Rotary Aroor Satellite in Kerala. Around 480 family filters and 10 community filters have been flown in from the UK. The ‘Dil Se-Act for Kerala’ is a Rotary Foundation Global Grant project hosted by Rotary Cochin Midtown with their sister club, Rotary Bandar Sg Petani of D3300, Malaysia. This project was initiated even before the flood waters receded and may well be the first housing project to be completed. Rotary International Director-Nominee, Kamal Sanghvi, has led the shelter kits projects. One thousand shelter kits were distributed in different parts of Kerala and more are coming. Each shelter kit provides tent, utensils and cloths for a family of four. Rotary District 3211 in south-east India has an interesting project called Mission New Life to gift furniture and home appliances that are being mobilised from homes. In the case of used equipment and furniture, they are being repaired, restored and refurbished before gifting. Rotary Cochin Milan has a project to donate kitchen utensils. Rotary Cochin Cosmos focused on helping disabled flood victims by giving them wheelchairs, walkers, water beds, artificial limbs and hearing aids. Rotary Kalamassery has a life-changing project to help tiny, small, and micro enterprises to restart business. A cotton bed-manufacturer got industrial sewing machine, an auto rickshaw driver who lost his vehicle got a new one, a lady selling sarees got new stock all through Rotary Kalamassery’s livelihood grants. This project is now being enhanced, through a Rotary Foundation Global Grant, jointly by Rotary Kalamassery and Rotary Kandy in Sri Lanka to help flood victims restore livelihood activities. It is a tedious and painful journey that will not be easy for the flood victims. But one thing is for sure – they are not alone in this journey. 280 Rotary clubs in Kerala are walking alongside and Rotary worldwide will lend a hand. Support the Rotary Donations Trust to provide long term regeneration to Kerala flood victims.